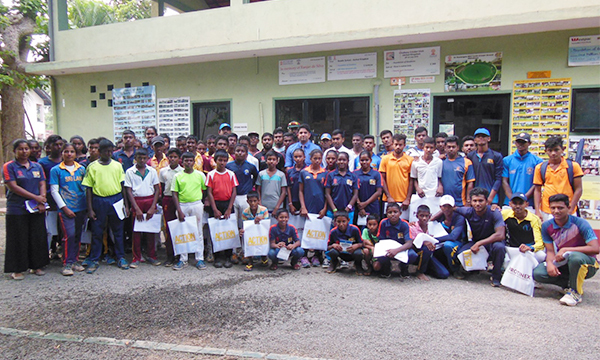 Monthly sports development programmes conducted in partnership with the National Olympics Committee (NOC) continue to take place at the Foundation of Goodness’ Sports Academy in Seenigama. 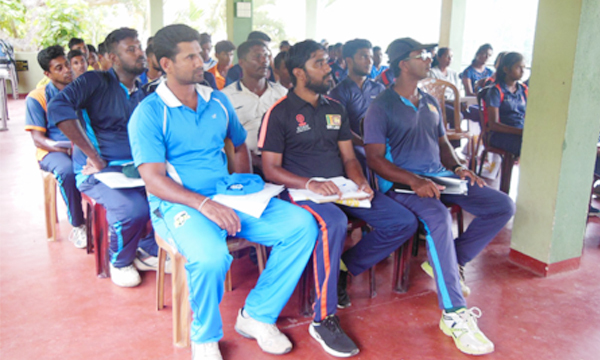 Following three coaching camps conducted by former German National Table Tennis Coach Martin Adomeit, NOC Swimming Coach Manoj Abeysinghe and National Olympic Badminton Player Niluka Karunaratne and his father, the programme for March took a different approach. 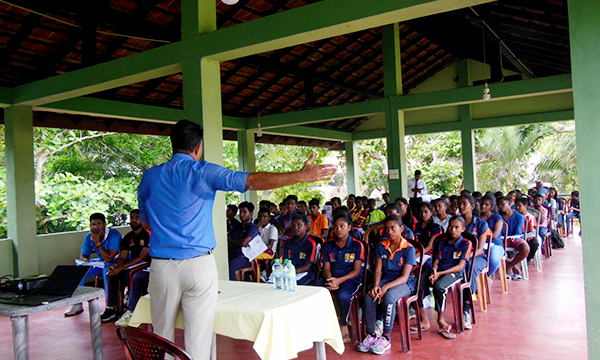 Rather than to conduct targeted training for one group of sportsmen or athletes as in the previous months, Dr. Himan De Silva who heads the Sports Unit of the Karapitiya Hospital conducted a Sports Science Programme for 70 rural athletes across multiple disciplines. 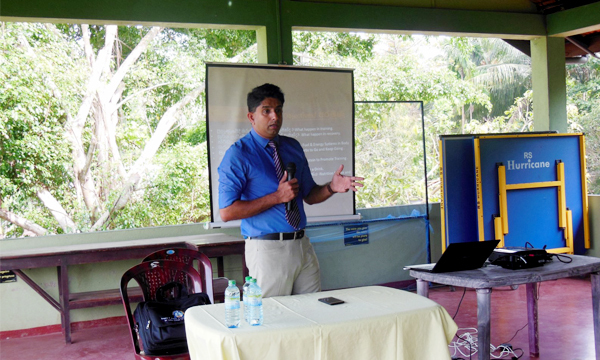 Dr. Himan De Silva was one of two Sri Lankan doctors to be selected for medical services at the 2016 Rio Olympics, joining a team of 150 strong international doctors. They were the first ever Sri Lankan doctors to receive this honour. We were privileged to receive the expertise of such a renowned expert in the field, providing important information to our sportsmen and women which would make the crucial difference between being an average athlete or one who can represent their nation in an international arena. 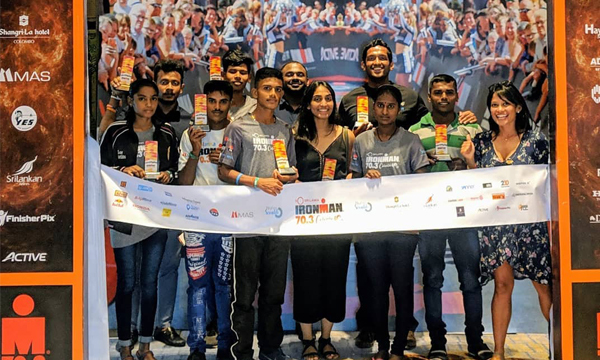 Among the many topics that were discussed, Dr. Himan De Silva touched on the importance of sports nutrition as well as educating everyone about their bodies and the stresses experience both during training and competition as well as during injury and recovery. 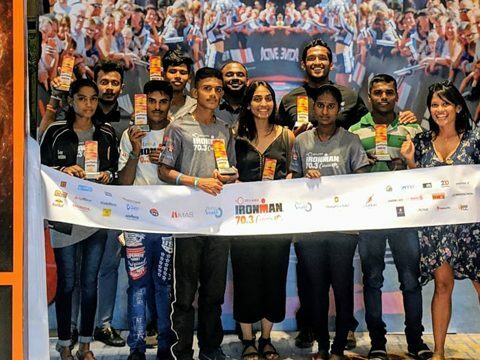 As per the Memorandum of Understanding signed in December 2018, FoG and NOC will be conducting similar programmes and training sessions throughout the year, on a monthly basis to empower rural athletes and provide them with exposure to better training and facilities. The ultimate goal of these sessions is to ensure that rural talent does not wither away and is identified and refined at an early stage and given the necessary boost to reach their full potential.